With more than 100 accommodation options in Gili Trawangan, ranging from guesthouses and homestays to boutique beach resorts and luxury villas – where does one decide to stay? The good news is, you don’t have to splash out in the Ibiza of the East to get a quality sleep. 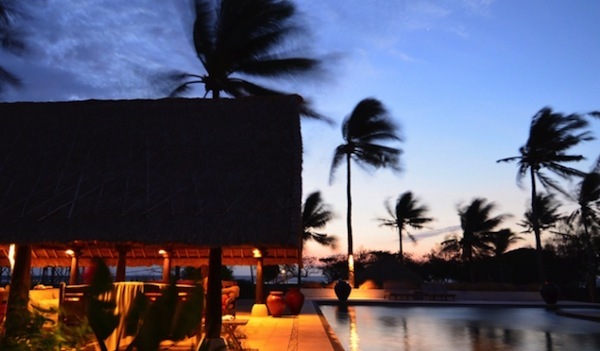 Five-star sleeps in the Gili islands come with a very impressive three-star price tag. Do you need a better reason to indulge in a plush beach resort? We scoured the island for the most luxurious accommodation Gili Trawangan has to offer. From handsome villas and boutique resorts to romantic retreats, these are the best villa resorts in Gili Trawangan. KO-KO-MO RESORT is a twee boutique villa resort, nestled along the main resort strip just five minutes walk from the jetty. The one, two and three bedroom villas are obscured from the main strip, accessible by a discreet pathway on the side of the restaurant. Even if you’re not staying at the resort, the hip tapas restaurant on the beach is bound to get your attention. Run by well-known Sydney chef Matthew Blundell, you just know you’re in for a fine meal. PONDOK SANTI ESTATE is a pristine and tranquil property, sprawled over eight lush hectares of manicured gardens. A fence borders the private estate, and with so much room to run and play, you can relax in a cabana without worrying about the kids. The resort even has it’s own private beach, far away from the crowds. Pondok Santi also caters to beach weddings, and we couldn’t think of a better venue in Gili Trawangan than its lush grounds. And while you’re here, check out the estate’s stunning hand-crafted boat, the Princess Margaux for an unforgettable sunset cruise. 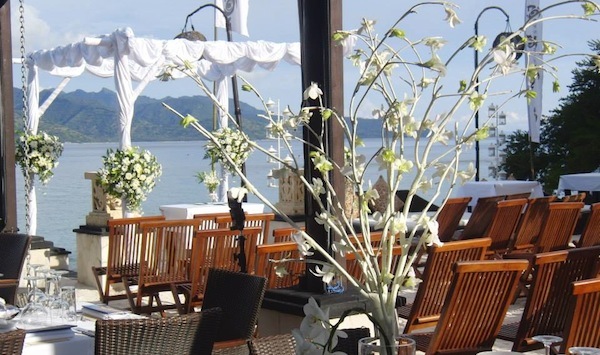 VILLA OMBAK HOTEL is a classic package-holiday beach hotel that typically doesn’t appeal to the well-travelled adventurer. It made it to the list however, because every time we passed the poolside it was buzzing with social activity and people having a genuinely nice time. It’s close enough to Gili Trawangan’s party scene and sunset bars, so you can find your way back in the wee hours of the night. And far away enough from the thumping music and late night crowds. Also a plus, all the creature comforts and facilities at your finger tips. Villa Ombak Hotel, Gili Trawangan. Rates start at IDR300,000 per person for half board, special packages for families with children are available. 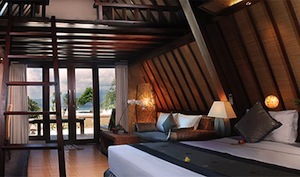 FIVE ELEMENTS RESORT is a stylish, romantic resort located far away from Gili Trawangan’s party scene. 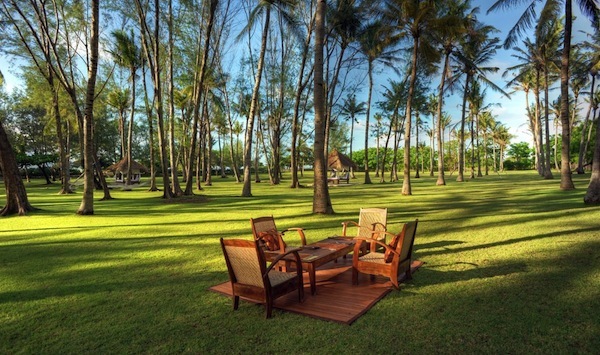 The secluded cluster of modern bungalows are set in four acres of lush tropical garden. 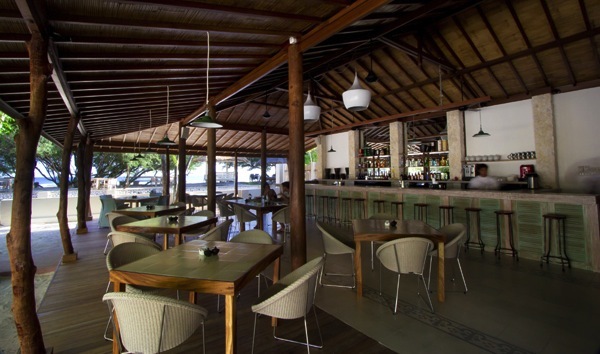 From the bar, you have one of the best sunset views in the Gilis. This one gets our vote for the most romantic place to stay in Gili Trawangan. Five Elements Resort, Gili Trawangan. Rates start at US$250 (current promotion). WILSON’S RETREAT is an elegant boutique hotel with a supremely private beach on the quiet north coast of Gili Trawangan. The garden suite and private pool villas both feature reclaimed teak wood patios and semi-outdoor showers. But it was the bar and restaurant’s shabby chic décor with a modern twist that first caught our eye. It turns out in-house French chef Francois Masson is in charge here. Between gourmet meals and quality cocktails, you’ll have no reason to leave. Ever. Wilson’s Retreat, Gili Trawangan. Rates start at IDR1,250,000 for a garden suite during low season.